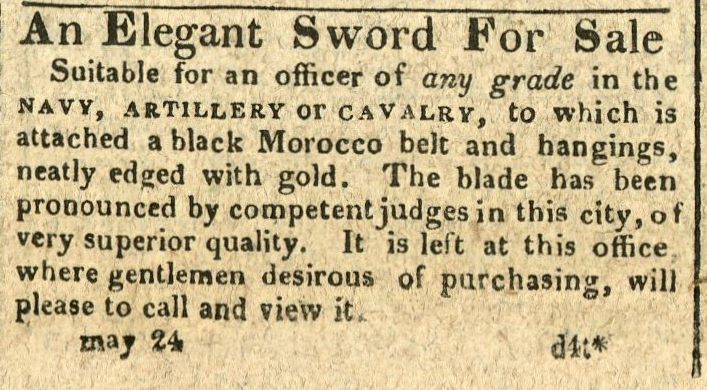 From the journal of Captain Henry Thompson, May 24, 1814. Courtesy the Friends of Clifton. May 24th. Captured and Burnt the English Schooner Duke of York of 4 Guns from London to Oratavo in ballast. From the journal of the Privateer Armed Schooner Lawrence, May 24, 1814. Maryland Historical Magazine, Volume 3, Number 2, June 1908, p. 171-176.